I have created a form and integrated it with my "Box" account so that the data will be stored at "Box". Since my storage on "Box" is greater than my storage on Jotform, I need a way to automatically delete submission/data once it is transmitted to "Box". Is there anyway to accomplish this? 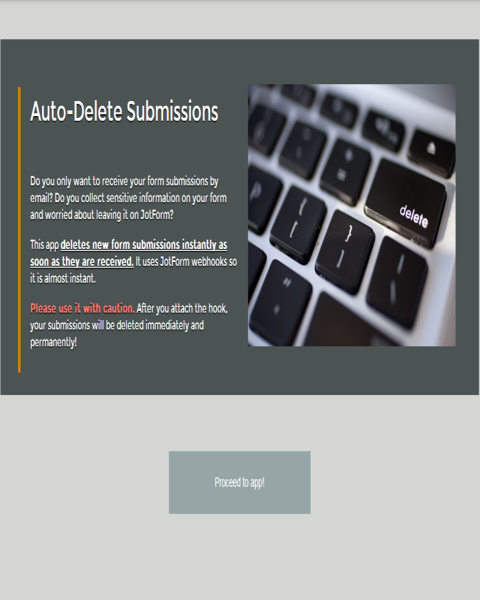 You can use the Auto Delete Submission App for this. Please take note: Deleted submissions are permanently gone. So, make sure you have a backup copy already before deleting them if you need the data.